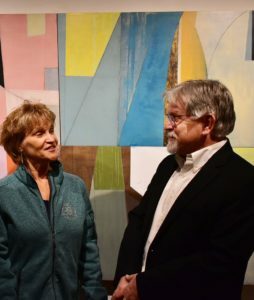 On March 26, our guest speaker Tom Woodcock gave us an in-depth look into the ‘what, where, when, why, and how’ of the rare Charitable Research Reserve. 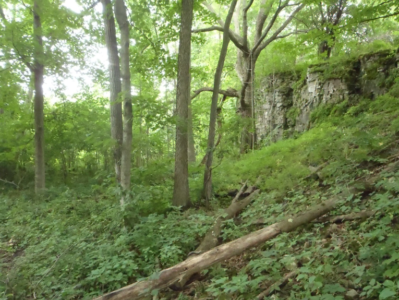 The Reserve is an area of over 900 acres, on the Grand River between Kitchener and Cambridge. Its mandate is to preserve and steward ecologically significant land in Waterloo and Wellington Counties. A sampling of the 24 different habitats under protection include old-growth Carolinian forest; floodplains; meadow and prairie; bird and turtle breeding grounds; and stops along bird migration routes. Education: public events, environmental education programs, volunteer opportunities, and recreation such as hiking trails, to enable the public to learn about and value their natural surroundings. Rare is a non-profit organization that depends on volunteers and is funded mainly by donations, and some funding from the region for specific projects. Why does rare do what it does? We are all familiar with the threats to land and forests from an increasing human population: consumption of living space, food, water, and resources; climate change; loss and degradation of habitat; and pollution. From one perspective, ‘undeveloped’ land can appear to be inactive, inert, and of no value until a commercial developer comes along to build something on it. From a more accurate perspective, natural landscapes actively provide a huge variety of ‘ecological services’, including water filtration, flood and erosion control, removal of air pollutants, recycling of nutrients and renewal of soil, pollination, absorption of greenhouse gases, and support for the biodiversity that makes this all possible. These ‘services’ of course benefit not just humans, but all other species on which we and the earth’s ecosystem depend. To get a sense of how valuable these services are, ask yourself for example: how do I get clean water? Ecoservices are ‘free’, but they require the space and time to do their jobs. If ecoservices disappear, replacing them comes at a cost. Consider for example the costs of building a water treatment plant, paying for flood insurance or damage, healthcare costs due to air and water pollution, or the need for more and more fertilizers and pesticides to compensate for diminishing soil quality. The message is that we are depleting the earth’s natural ecoservices at an unsustainable rate – we are using more than the environment can provide. ‘Half Earth’ is a concept proposed by Harvard biologist E.O. Wilson, which states that we need to set aside and protect one half of the earth’s natural habitats in order to maintain the biodiversity that is essential for the earth’s ecoservices to be sustainable. Acquiring more lands for preservation, through purchase or donation. 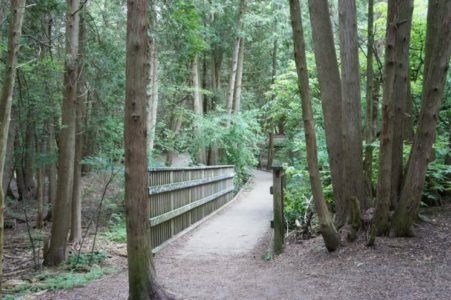 For example, a current project is underway to build a conservation corridor along the Eramosa River, that would extend from Eden Mills through Rockwood, Guelph, and the Eramosa Valley. This project has the potential to almost double the area of land under protection by rare. Underpinning all of these efforts is the need to engage and educate the public as to the value of natural landscapes, not only for their ecoservices but for the enjoyment and well-being they provide. In case all of these problems seem too large to resolve, we can remind ourselves of Tom’s decription of ecological activity as: ‘little actions or processes happening an unimaginable number of times’. 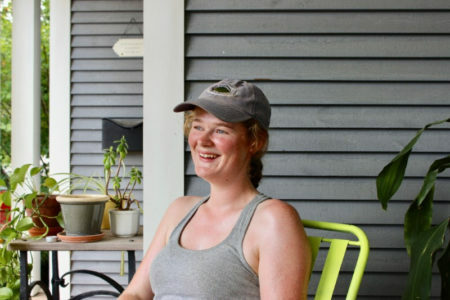 With that in mind, the small efforts of each of us can potentially add up to a large turnaround in the ways we use and preserve our natural landscapes. Community maintenance pruning is planned for April 13, 2019 in the Elora Meadows neighbourhood. Juvenile trees located within the Township owned road right-of-way may be pruned in order to improve their structure and future health. The pruning will take place between 8:30am and 12:00pm by Neighbourwoods Citizen Pruners accompanied by two to three members of the Centre Wellington Arborist Association. If you are interested in volunteering please contact Neighbourwoods. 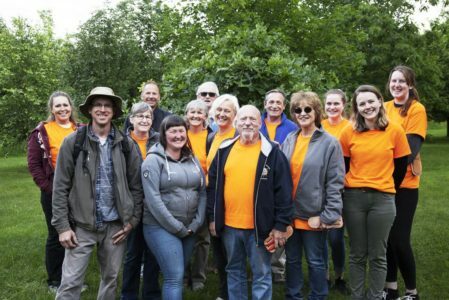 For the last 10 years, Neighbourwoods has run a Tree Inventory Program in Centre Wellington (Elora/Fergus) using the Neighbourwoods protocol developed by Drs. 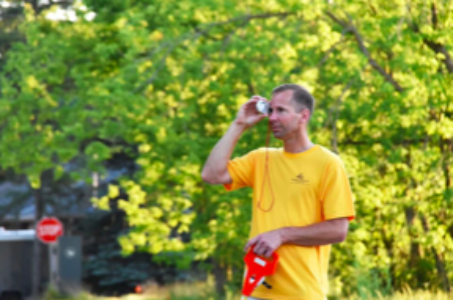 Andy Kenney and Danijela Puric-Mladenovic at U of T.
With over 11,000 trees in our database, we have garnered a lot of experience about what works best and we want to share it with you! 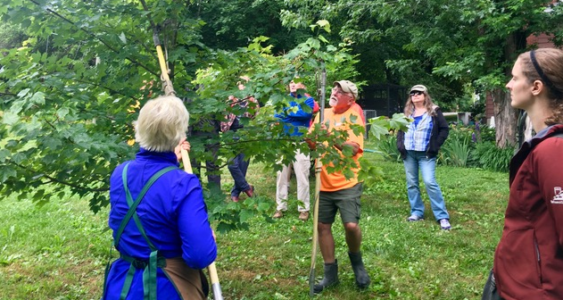 This full day workshop is an ideal training opportunity to learn how to inventory trees in your community. Space is limited! For more info please call Toni – 519-362-9469 – or email us. Rare Charitable Research Reserve is a 900+ acre urban land trust and environmental institute in Waterloo Region/Wellington (near Cambridge). The reserve contains a network of natural landscapes that are held in trust as a common possession, set aside for their natural and heritage value. Rare’s mission is to provide opportunities in ecological and cultural research, education, community engagement, and recreation. 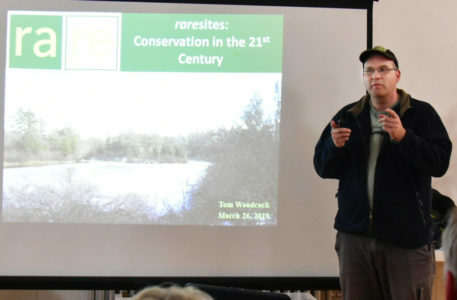 Join us for Tom Woodcock’s presentation “raresites: Land Conservation in the 21st Century”. We expect a lot of our land, yet many people rarely give it a second thought. Ecological services provide for all our wants and needs, but require space and respect that come with high costs in our modern economy. Tom will discuss the ecological benefits of land conservation, and the challenges of a charitable land trust in one of Canada’s most expensive and fastest growing areas. About the speaker: Tom has been an environmental scientist for more than 20 years, studying effects of human activity on ecological processes in a variety of systems. As Planning Ecologist at the rare Charitable Research Reserve, he works to secure, restore, and steward lands for the benefit of nature. 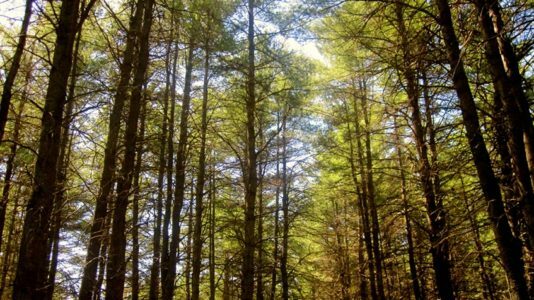 Centre Wellington now has a Public Forest Policy which is a comprehensive document that outlines standards for tree planting and maintenance on municipal and private property.